Baylor St. Luke’s added a Mobile ICU team to the hospital’s long-standing rapid response team in late 2014. The rapid response team is a nurse-led team that responds to nursing calls for help with decompensating patients on the acute care floors. The Mobile ICU team consists of an intensivist-led physician team that works directly with the rapid response team to stabilize critically ill patients both on the acute care floors and admitted to the emergency department. Since the implementation of this synergistic model of care, a significant decrease in overall pulseless electrical activity (PEA) code rates in patients who have gone into cardiac arrest has been achieved. 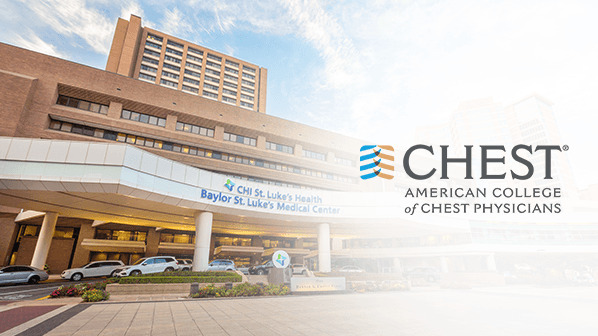 The process and outcomes associated with rapid response and Mobile ICU integration was presented at the American College of Chest Physicians conference in October, 2018, in San Diego, California. The conference is one of the world’s largest gatherings of pulmonologists, thoracic surgeons, critical care providers, and researchers in the world. For this work, Dr. Babith Mankidy, who presented the project findings, was presented the Alfred Soffer Research Award, one of two research awards given at the conference.